I just got my cover, and I find that it gives me good volume in my pants. It's also very well made with high quality materials that seem like they will last for quite a while. I'm already looking into what else I can buy from JAFO. Thanks James! 20 Years of Strap Issues Relieved on Day 1! Almost 20 yrs with straps around my calves has caused many issues with nerves, circulation and actual bone deformity from the pressure it placed on the bone. The JAFO relieved and removed those issues on day 1. 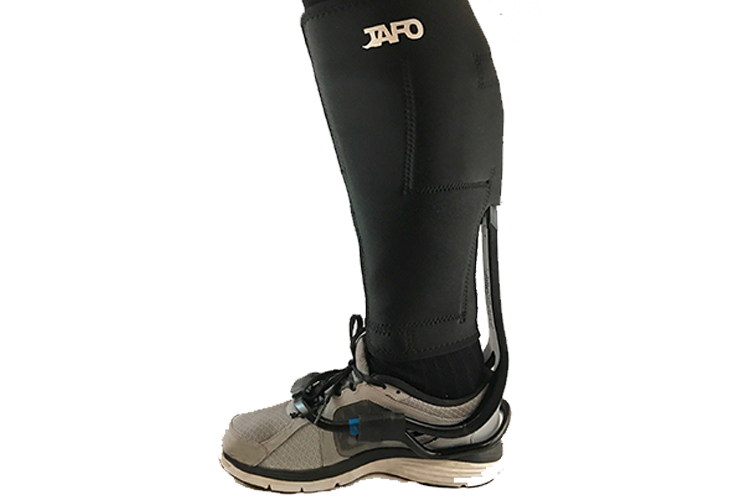 The JAFO improves on ANY AFO! I've received my JAFO cover, and so far what a wonderful change, and what a difference it makes! TurboMed and JAFO should get together and supply the JAFO as standard equipment instead of the velcro strap. Well worth the additional cost. Just got my package from JAFO. Seriously, this makes such a crappy thing not so crappy anymore. I feel as normal as I did before my accident.